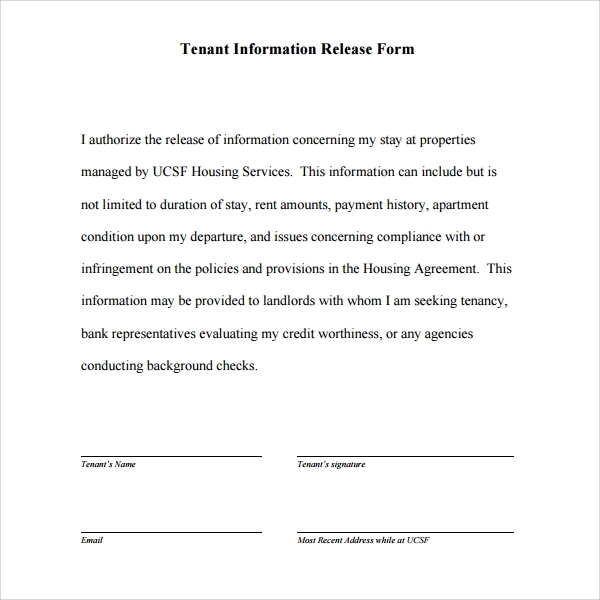 To build a long lasting relationship, and to make sure no inconvenience arise among tenants and property owners, Tenant Information From have to be provided, and they must have accurate and useful information that will help tenants make sound decisions before moving into a premise. 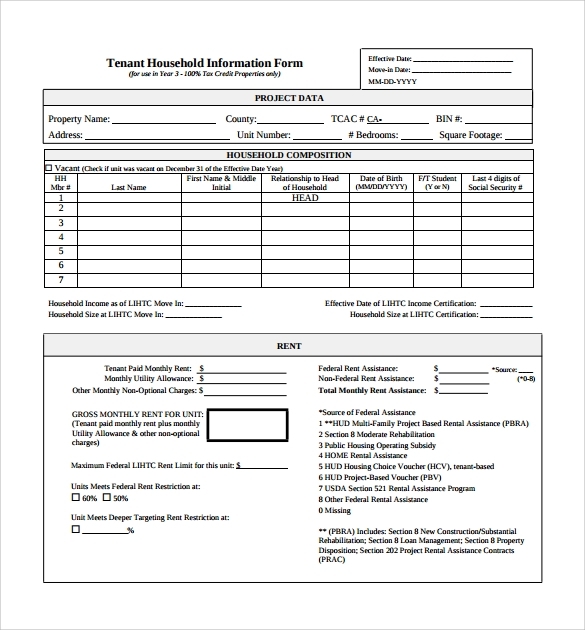 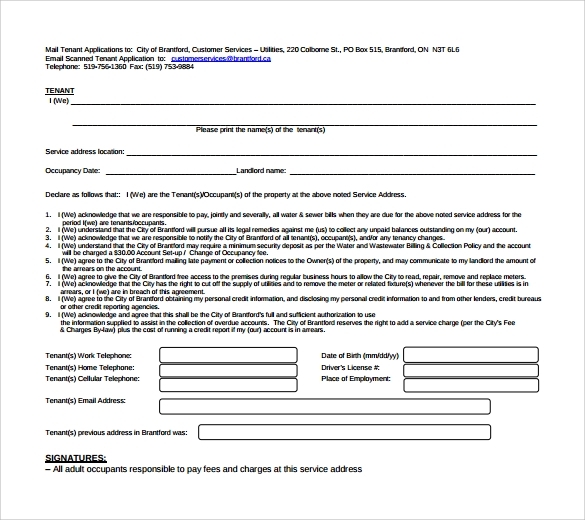 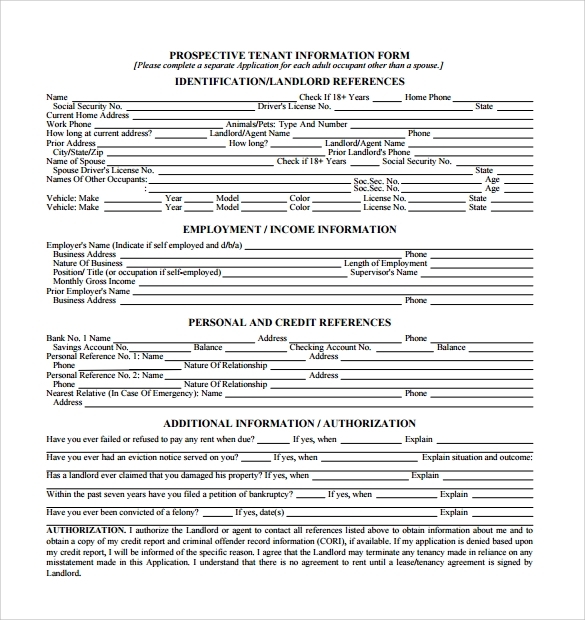 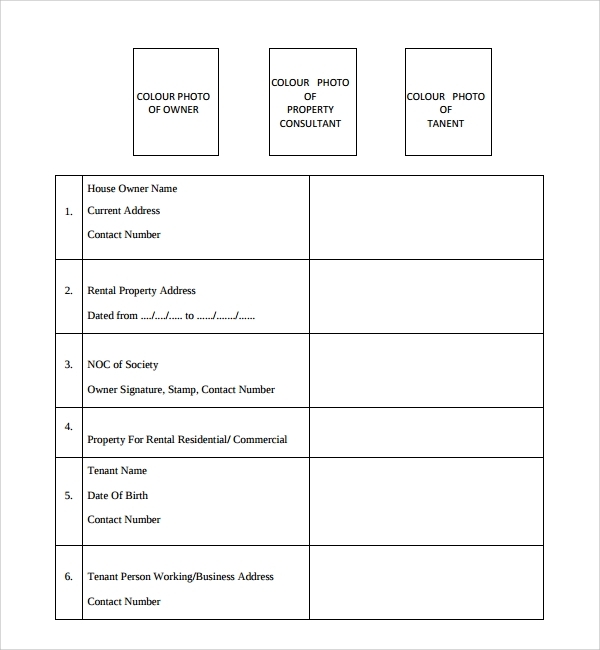 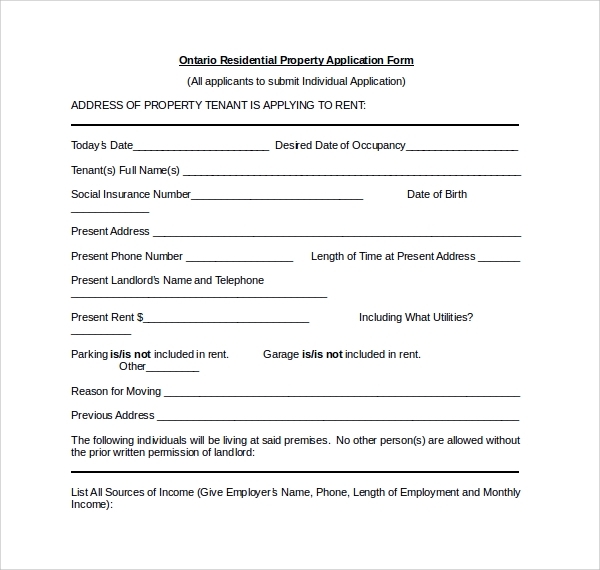 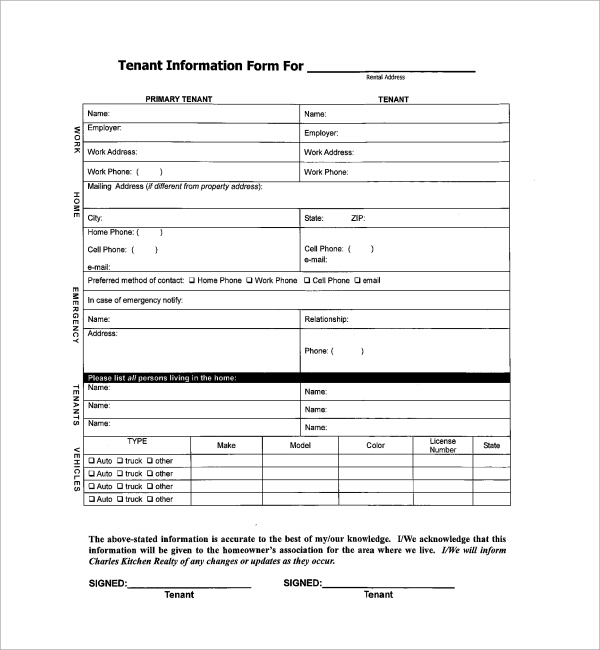 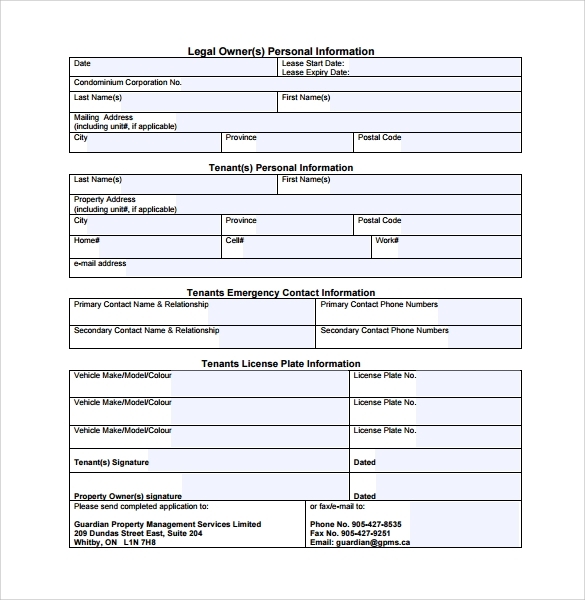 Although you can create the form template from scratch, it is often easier to download a sample tenant lease form template and use it as a customized Tenant Information Form instead. 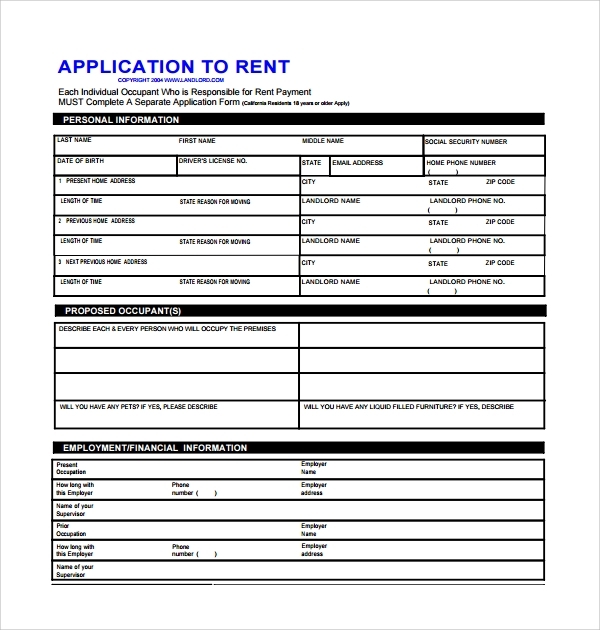 Use a simple language. 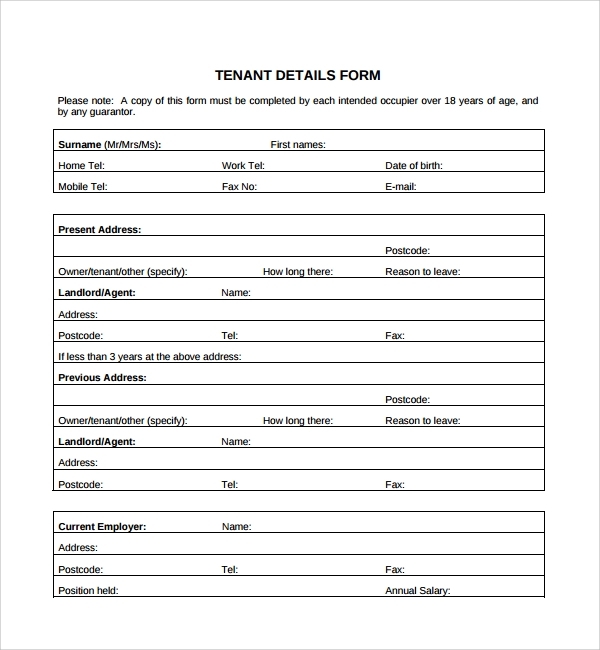 Avoid big and ambiguous words – tenants don’t have time to find the meaning of big words. 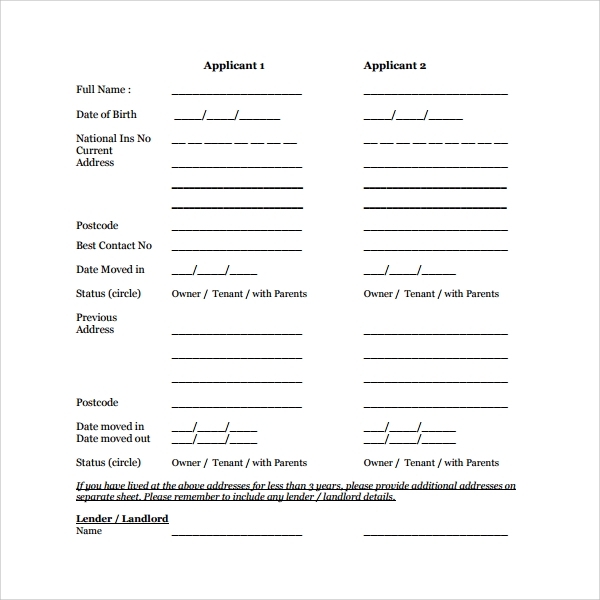 Make content in the form short too, it’s not a speech.